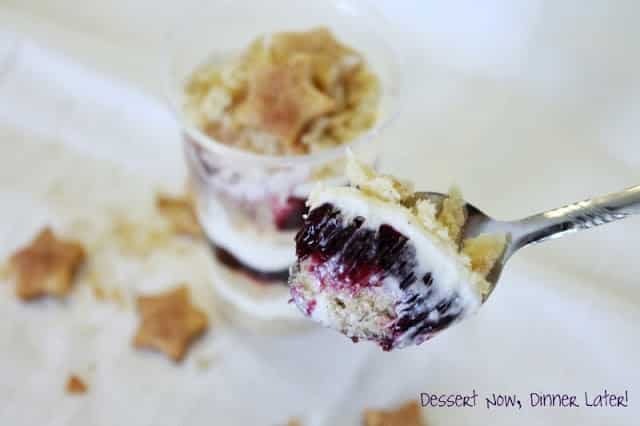 Blueberries & Cream Pie Parfaits - Dessert Now, Dinner Later! 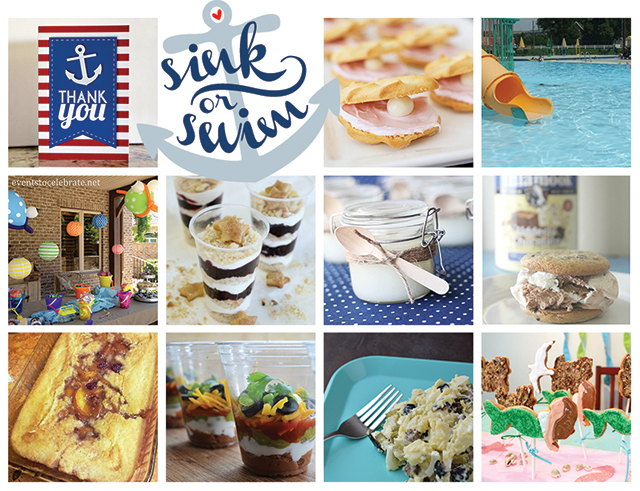 As you know, some of my blog buddies & I are doing a Sink or Swim party themed giveaway this week. We have also decided to do a virtual party of our own. Just combine all of our blog posts & you can have one fun beach party! I am contributing dessert for the party. I thought it would be fun to make a Sandy Beach type parfait. 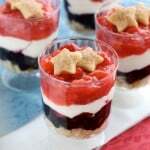 So I am sharing one of my favorite pies, layered into a parfait. 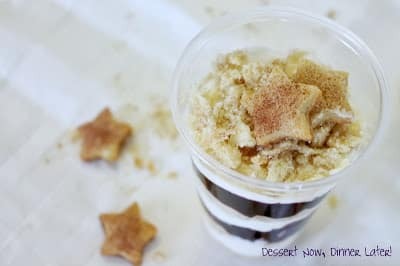 The pie crust is the sand & I even cut out some stars to use as “star fish.” We gobbled these up real quick! Check out what the other girls made & you will have everything you need for a beach party of your own! Don’t forget to enter the giveaway! You can win some fun kitchen gadgets & party supplies. It ends Sunday night! Just click the link below & fill out the Rafflecopter. For the pie crust: In a bowl, combine salt & flour. Cut Crisco into flour mixture with a pastry blender or fork. Add egg, water & vinegar and work dough into a ball. Flatten, double wrap with plastic wrap & let sit in the freezer for 10 minutes. Remove pie crust from freezer & roll out to about ¼" thickness on a floured surface. Cut out several stars now. Place stars & extra pie crust onto an un-greased baking sheet. Sprinkle tops with cinnamon sugar & bake at 425*F for 6-8 minutes or until golden brown. Remove from oven & cool completely. Meanwhile, to make blueberry pie filling: Combine sugar & cornstarch together. Pour over blueberries in a small saucepan. Stir. Cook over medium heat, stirring constantly, until mixture bubbles, berries burst, & it becomes thick. Add enough orange juice to thin it out, but still coat the back of a spoon. Allow to cool completely. For the whipped cream cheese: Place cream cheese & sugar into the bowl of a stand mixer with the whisk attachment. Whisk until sugar dissolves. Add Cool Whip & whisk on high until the whisk leaves ripples in the cream cheese mixture. Keep cold until ready to assemble. To assemble: Break up the pie crust, except the stars, to make crumbs. 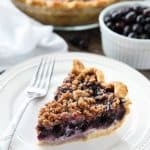 In small, clear, plastic cups, layer alternately with crumbs, cream cheese, & blueberry filling; starting & ending with crumbs. Place stars on the very top layer for decoration. Enjoy! Amber, these look so cute! And delicious! These look amazing! I think my husband would flip over these! Ok – my mouth started watering from the last pic! 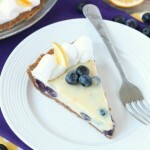 Blueberry is my favorite, and my girls would have a blast cutting out little stars! Can’t wait to make this! Amber these are adorable! Almost to cute to eat! Almost! it looks delicious! This looks great! I love blueberries. The stars are so cute too! Oh my!!! Can not wait to make this!!! These look fabulous!!!! 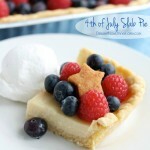 And I love the addition of the pie in this – what a great idea!!!!! This looks like the perfect little summer treat!!! 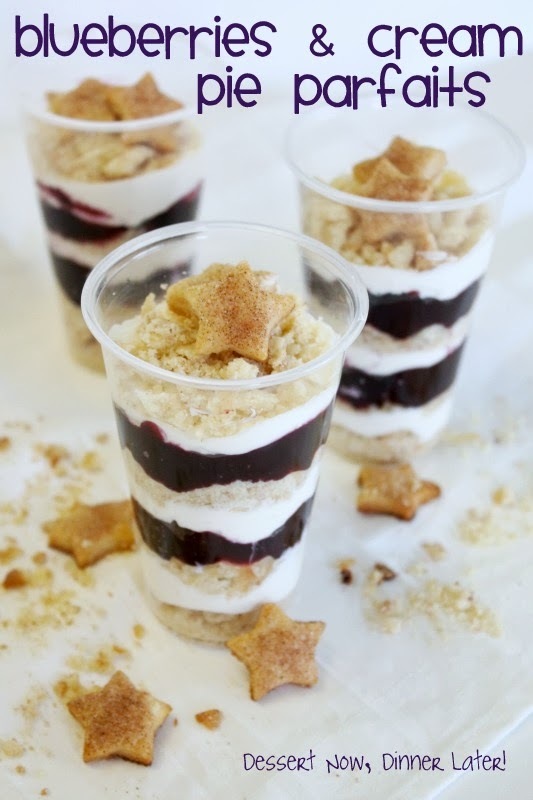 I love a good parfait, and these are gorgeous and look so delicious!